The Comics Code, which had been in existence since the 1950s, has dissolved. Out of fear of government regulation prompted by hysterical claims that the violence in comics was creating a generation of juvenile delinquents, the major publishers pledged to follow a self-censoring code of publication. As one of those exposed to comic books post-code, all I can say is “no, thank you.” I do not believe in censorship and particularly when it is irrational. Next Wednesday, we have an expert in the field of censorship and First Amendment law coming to speak at Destinations Booksellers. Please join us and the Society of Professional Journalists as we host a Media Law Resources Center Institute presentation by attorney Jon Fleischaker on Feb. 2 at 7 p.m. The event is, of course, free. We had an MLRC program last year that was one of our best ever. I expect this one will surpass that one. The American Booksellers Association commissioned Civic Economics, an economic analysis and consultancy firm, to examine the health of American metro areas when it comes to independent businesses. The Louisville SMSA, in which New Albany and Floyd County are included, ranked 79th among 363 metropolitan statistical areas, with a measure of 109.6. The number represents the inverse of an area’s saturation with national chains, with 100 being a perfect approximation of chain sales as a norm. Cities with numbers above 100 tend to have more retail sales through independent, non-chain businesses than do cities with numbers above 100. You can read the entire study at www.IndieCityIndex.com. If the largest democracy in the world, with over 1 billion people, is any guide, the future of the book is assured. John Makinson, world head of the Penguin Group, attending the Jaipur Literary Festival, says the book matters more in India than anywhere else they publish them. If, on the other hand, you’re crestfallen at the end of the physical book, Flavorwire offers some clever recycled uses for books. 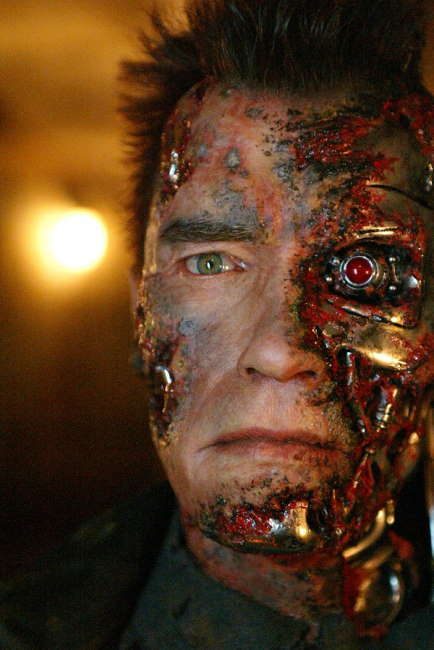 Oh, and please let me know if you see a Cyberdyne Systems Series 800 Model 101 Terminator heading our way, would you? Emma Watson (Hermione in the Harry Potter films) and Logan Lerman (Percy Jackson and the Olympians: The Lightning Thief) are in talks to co-star in The Perks of Being a Wallflower, based on Stephen Chbosky’s novel. Chbosky will direct his own script, with Lianne Halfon, John Malkovich, and Russell Smith producing, Variety reports. And one more movie tidbit … the first movie adaptation of Suzanne Collins’ The Hunger Games is slated for release in March of … 2012. Ohio's Daughters of King Lear? 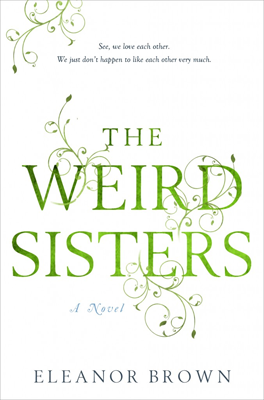 I can’t read ’em all, but that won’t stop you from finding out about The Weird Sisters, a quirky new novel from Eleanor Brown, via Putnam. I was impressed. Here’s a review from Shelf Awareness. Have you run across a Web link that ought to be shared with others? Drop us a line by e-mail or in the comments below and we’ll consider it for our Friday Fun Links feature. Coming tomorrow: A brief discussion and then a link to the Website of an author we’d love to have come for a visit. If you have the chance, leave a comment there and tell them you found it via NewAlbanyBooks. Sunday, it’s “The Lists,” and Monday I’ll reveal my Best of 2010 lists for fiction and nonfiction just before I head over to the studios of WFPL to discuss Books That Changed Our Lives. Join me, Robin Fisher, and host Julie Kredens live at 1 p.m. for State of Affairs and weigh in with your own choices. Or, listen to the show in rebroadcast at 9 p.m. Monday or later as a podcast. You probably know by now that we’ve posted every day in 2011. One of the archived posts you would have missed is a write-up of Three Seconds, a Swedish novel that’s a cleverly written noir that compares well with anything you’ve read in the thriller/mystery genre. Read the post from early January here.